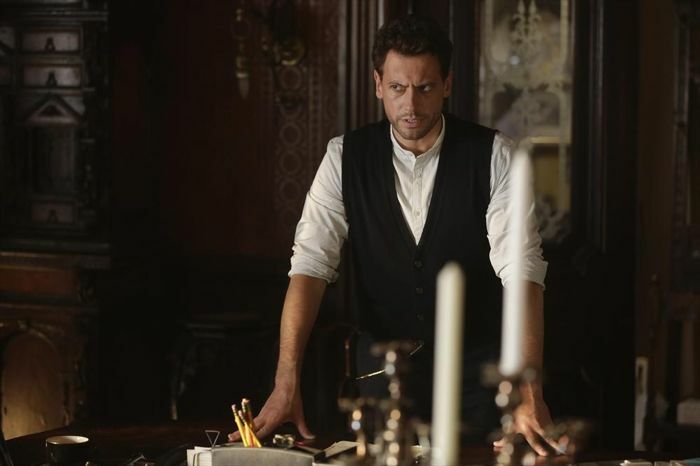 It is the day Dr. Henry Morgan (Ioan Gruffudd) has both dreaded and longed for since became immortal — the day he dies. In the Season 1 finale, Dr. Morgan will finally find the item that could put him in the crosshairs of his nemesis Adam (Burn Gorman): an ancient Roman pugio. 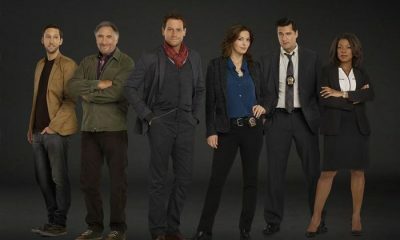 With the dagger finally surfacing, Henry knows that Adam will stop at nothing to obtain it and with Detective Jo Martinez (Alana de la Garza) hot on the trail of the pugio, it will surely put her in danger as well. 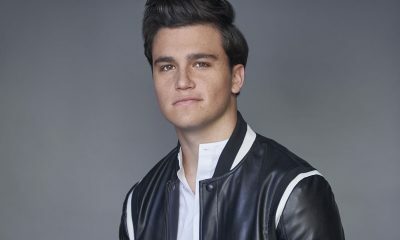 So with fate putting a ticking clock on who will find the pugio first, it remains to be seen if Henry will finally have the means of stopping Adam’s reign of terror and avenge Abigail’s (Mackenzie Mauzy) death or if he will die in the process. 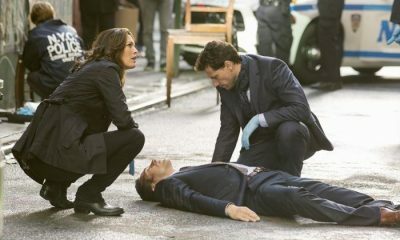 In an exclusive interview, star Ioan Gruffudd talked about the significance of the dagger, the fun of working with Burn Gorman, and how Jo’s newly-discovered romantic feelings for Henry plays into the finale. We know that Adam’s dagger is back in play for the finale. Will there be possibly a standoff between Henry and Adam? IOAN: Absolutely. Without spoiling it, it is essentially the entire episode. It is the coming together of Adam and Henry in sort of a big fight to the finish. How much danger will both Henry and Jo be in from Adam in this next episode? IOAN: The whole premise of the episode is about whether Henry’s secret will be exposed and the potential danger of Jo being harmed as a result of this impending dual between Henry and Adam. How tricky will it be for Henry to keep Jo out of harm’s way and away from Adam at this point? IOAN: Henry is kind of caught in the middle. He’s run out of very clever excuses to extricate himself from any scenario. So he just says, “terribly sorry, got to go” whenever the truth is close to being exposed. So we will see Henry in a totally different light and so will Jo. Jo will start to distrust him and think he is a strange person, after having practically proclaimed feelings for him when she didn’t go to Paris. At this point, does Henry have the same romantic feelings for Jo or is he not even aware of her feelings for him? 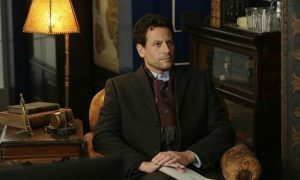 IOAN: I think it was alluded to in the end of that episode when she came into the antique store. Henry, I’m sure, feels the same way, but neither one of them are confident enough to express that. So if you are expecting more of that in the finale, you’re going to be slightly disappointed because due to Henry’s desperation to try to protect her and keep her from figuring out his secret, he turns Jo against him. Do you think by the end of the season finale, fans will be happy where it ends or will they be left hanging a bit? IOAN: If we are to be honest looking at all the season finales over the years, either we are disappointed by the conclusion of the story being told that season or we are left wanting more. So I think that we are not going to please everyone, but I think we will have succeeded in keeping everyone on the edge of their seat wanting more. What was it like working with Burn Gorman as Adam for the big standoff scene? IOAN: Well, he’s just an extraordinary actor. When you’re working with somebody like him, it raises your game. It raises your level of intensity and your performance. He’s just outstanding. I loved every minute of it. It is a real pleasure when you get to work with somebody who is as talented, and just as physically talented as he is as an actor. I just loved it and I really hope what we did together in that scene comes across on the screen. It is always riveting watching Henry and Adam’s chemistry. They are both in this odd dance throughout time and more aware of each other because of their unique histories and it makes it interesting — that dynamic between them. IOAN: It is, isn’t it? 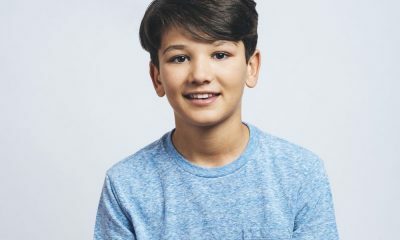 Adam has lived for so much longer than Henry, so you can imagine the pain and heartache that he has been through in his entire life — and that’s what we are asking the audience to do with who he is and to empathize with and realize why he is such a strange individual in the here-and-now. We see why Henry has become that way and the pain of being immortal, and yet Adam has taken it to a whole other level. Everyone is going to be wondering if both Adam and Henry can stare death in the face and embrace it, or if in the end, they will turn away from it. Is the answer to that question going to come in the finale? IOAN: Yes, absolutely. This idea that Adam proposes — that the weapons that killed them and originally caused them to become immortal might be the answer to ending their curse — we definitely explore that in this episode. Having portrayed Henry and having learned so much about him, what would you say you have learned from him and all of his wisdom? IOAN: [Laughs] Oh my gosh. It’s funny, when you play a character like this you realize how unsmart and unwitty and unfunny you are in the day to day. All the characters I’ve played in my career have reflected so well on me in that they have made me look a lot more interesting than I am really at my core. So the one thing that I guess I have learned is: patience. Henry has lived for such a long time, and he has such patience with others and himself. But he’s had the benefit of having lived for hundreds of years. The nature of making a television show like this is you need a lot of patience to get through the days and the days are very long. Henry also appreciates the people around him. He has such a love of life and he wants to share that with those around him — and that is kind of infectious. IOAN: Yes, you’re right. He is somebody who really struggles with the pain of the past and yet he is working really hard to live in the present. It is also great how he has rubbed off on Lucas (Joel Moore). Lucas and Henry’s relationship has been so much fun to watch. IOAN: I love that relationship. It is just wonderful to be around Joel every day. He’s got an infectious energy. I’ve found that our relationships off-camera has really informed the relationships on-camera. What fans can look forward to in the finale are some delightful developments in all the core relationships of the characters. 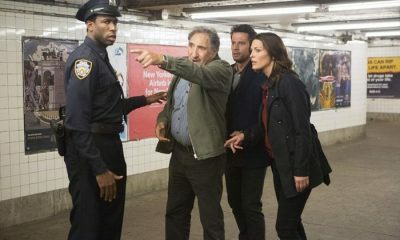 But to find out if Henry does indeed end of sacrificing his life to save Jo, or if he can find a way to stop Adam, be sure to tune in for the finale of FOREVER on Tuesday, May 5th at 10:00 p.m. on ABC. One clue: do not miss the final minute of the episode — it is going to change everything!